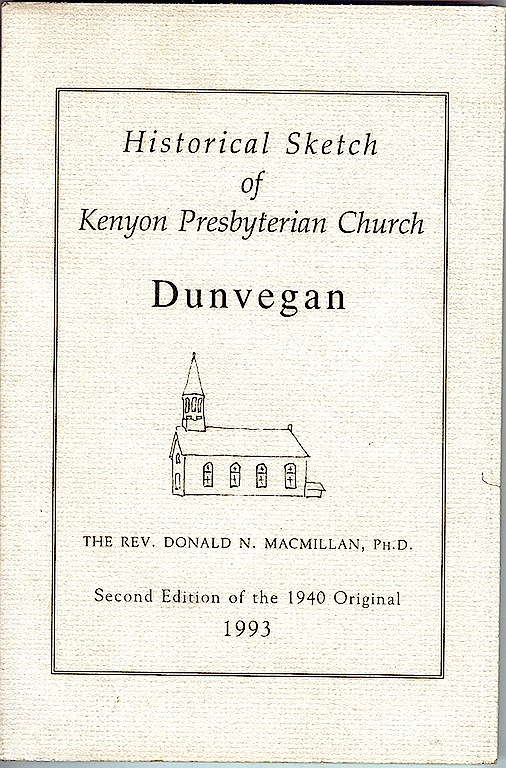 Kenyon Presbyterian Church, DUNVEGAN, ONT. Rev. Adam McQueen 1858 - 74. Rev. Finlay McLennan 1877 - 88. Rev. Donald MacLeod1889 - 90. Rev. Roderick K. MacLeod 1890 - 6. Rev. W . A.Morrison 1912 - 21.